The British writer JK Rowling went on Twitter to admit she had been mistaken and apologise "unreservedly" to the boy on the wheelchair and his family, after she had earlier criticised Donald Trump for ignoring him. London: "Harry Potter" author JK Rowling, an outspoken critic of US President Donald Trump, apologised today for suggesting he ignored a child in a wheelchair at a White House event. The British writer - like Trump, a prolific user of Twitter - used the social network to admit she had been mistaken and apologise "unreservedly" to the boy and his family. "Re: my tweets about the small boy in a wheelchair whose proffered hand the president appeared to ignore in press footage, sources have informed me that was not a full or accurate representation of their interaction," she wrote. 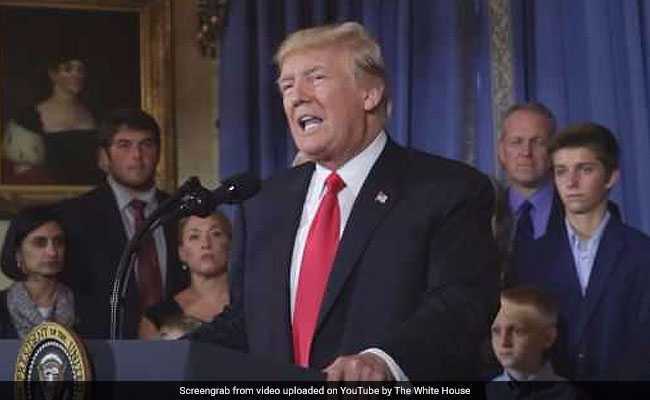 On July 24, Trump and Vice President Mike Pence hosted several families who the White House said had been "heavily burdened" by Obamacare, including the little boy and his mother. This edited video had surfaced on Twitter, where Donald Trump seemingly ignores the child. Rowling had deplored "how stunning, and how horrible" it was that Trump seemed to ignore him. She has since deleted those tweets, although they were published by the Daily Mail website. A video posted on the White House website clearly shows the president bending down to talk to the child.